Did you come home from work or wake up in the morning to find that a plumbing leak created a flood in your home? It could have been caused by anything — a busted water heater, a defective kitchen or bathroom sink, a running toilet, backed-up air conditioning, a busted shower or bathtub faucet, or, even worse, a collapsed drain line in the slab of your house that has caused raw sewage to flood your home. 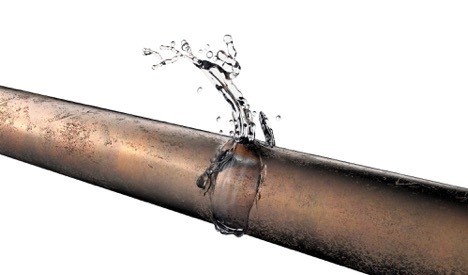 Regardless of the reason, leaky/broken pipe water damage can wreak major havoc on your home, and, if not dealt with quickly, can also trigger the growth of toxic mold. For a lot of homeowners, though, this is only the beginning of their ordeal. That’s because in many of these cases, the insurance company simply refuses to pay up. The homeowners insurance company said that they would be there for you…you’d be in good hands…they were like a good neighbor. But now they are offering you pennies for your losses, or totally denying your claim. And they have a team of lawyers and flooding damage experts to help them get away with this. You should have an aggressive team of lawyers on your side, too. FIGHT BACK! Call the water damage attorneys at Silver, Bass, Brams & Daniels — the Greater Miami Area litigation specialists. The property damage lawyers at Silver, Bass, Brams & Daniels are the aggressive claims attorneys and litigators you need to prevail in your flooding damage case. And they get paid only when YOU get paid. For years, Silver, Bass, Brams & Daniels represented the insurance companies and learned all about the tactics used by the industry to deny and underpay water damage and plumbing damage claims. Today, they use this knowledge to fight back on behalf of homeowners and help them get the money they are entitled to. You pay your premiums. The insurance company should pay you. Silver, Bass, Brams & Daniels will fight to make them pay. They have a statewide network of engineers, water damage specialists, plumbers, air conditioning experts, general contractors, and other experts to assist you with your denied insurance claim and get you the coverage that you have paid for. The insurance claim help you need is just a phone call away. The water damage law firm of Silver, Bass, Brams & Daniels throughout the Miami-Fort Lauderdale-West Palm Beach, FL Metro Area is waiting to hear from you. CALL NOW for a free consultation with one of our claims lawyers and fight back!